Motocross is an extreme sport that is exciting and adrenaline-fueled, but with a range of expensive gear that enthusiasts are required to buy and a seemingly exclusive sporting community, it can often be quite difficult to get into. Whether you are already a diehard motocross fan or you’re just learning about the sport and want to get involved and learn more, we’re here to tell you how to get into the motocross community and start racing. If you’ve never ridden a dirt bike before or taken part in any type of motocross race, the first step that you will need to take is to get started learning. Many areas have local motocross courses which you can sign up to, with qualified instructors who’ll be able to teach you the basics of riding and controlling the bike along with a number of specific techniques. Once you have the basics mastered, practice is important in order to perfect your technique and build your confidence until you’re good enough to try your hand at a race. Rather than riding on your own, it’s often a lot more fun riding in a group – and this will also help you to make new friends and become part of the motocross community. 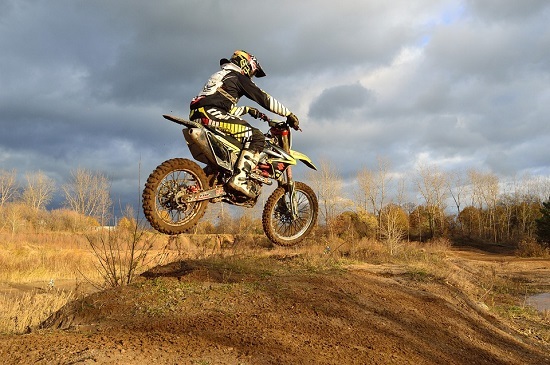 There are a number of different motocross clubs and societies out there which you may wish to consider joining, and it shouldn’t be too difficult to find one close to you if you use a reputable search engine. Finding people around your skill level gives you an opportunity to practice and take part in some friendly competition. Whether or not you already have a dirt bike, the next thing that you need to do is find a reputable motorcycle dealer. Find a motorcycle dealer which preferably specializes in motocross, and has a good reputation within the community for providing quality equipment. If you’re part of a club or society, your fellow members will often be able to point you in the direction of dealers that they know to be good. Once you’ve found a dealer, it’s time to buy your own bike – if you don’t already have one. Before committing to a sale, it’s a good idea to research different types of bikes in order to find one which fits your personal needs. A good dealer will be able to give sound advice on the types of bikes that you should be looking at based on your skill level and requirements. Any experienced motocross rider will tell you that safety is a top priority. Because it’s an extreme and risky sport, motocross riders should wear safety equipment such as a helmet, goggles, body armor and other safety clothing in order to be prepared for any accidents. The saying goes ‘dress for the crash, not for the ride’ and ensuring that you have all the right safety gear could even save your life. Specially designed clothing such as Dainese motorcycle jackets are much more preferable to everyday clothing. This entry was posted in Land Sports, Motocross and tagged Motocross. Bookmark the permalink.